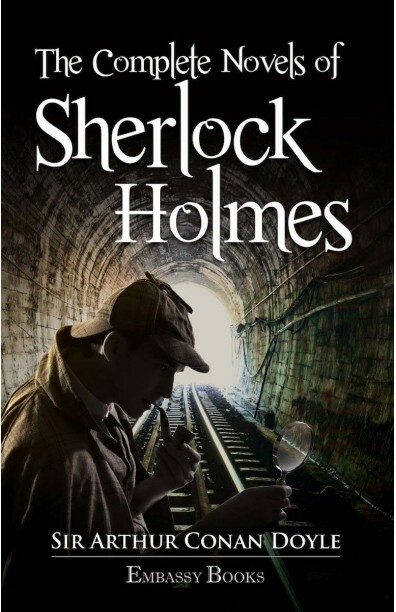 Sherlock Holmes is a mythical detective called as The Man Who Never Lived and Will Never Die. Sherlock Holmes was a man, however, who, when he had an unsolved problem upon his mind, would go for days, and even for a week, without rest, turning it over, rearranging his facts, looking at it from every perspective until he has either probed it to a solution or convinced himself that he did not have sufficient data, and set out to find out more about the case in his own remarkable fashion. This volume comprises the four novels of Sherlock Holmes : 1. A Study in Scarlet 2. The Sign of the Four 3. The Hound of the Baskervilles 4. The Valley of Fear Find yourself in the heart of Victorian London as new challenges present themselves to the formidable intellect of the ace detective. The combination of intriguing mysteries and unusual characters make the stories enthralling. This collection is unique in the sense that the longer stories pul you in completely into the analytical world of Sherlock Holmes and his chronicler Dr Watson.